InstaForex provides a chance to win Lamborghini, the legendary Italian sports car! The campaign with Lamborghini Huracan as a main prize will be held from December 26, 2016 to December 20, 2019. Anyone who tops up their account with $1,000 or more and register for the campaign can compete for the posh car. The winner will be determined randomly with the help of Lamborghini-number, so all contenders have a chance to win. 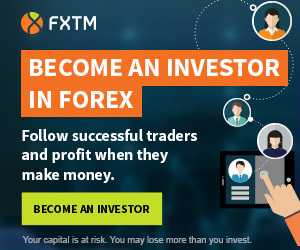 InstaForex proves again and again that trading on Forex can bring a sweet feeling of victory, self-confidence, and luck. In the past six years InstaForex has already raffled six exclusive cars, and each time our clients were the lucky winners. Unlike numerous prize draws, this campaign provides odds of winning from 1:500 to 1:1,000 even towards the end of it when the largest number of contenders register. Besides, the more accounts you register, depositing $1,000, the higher chances to win you have! 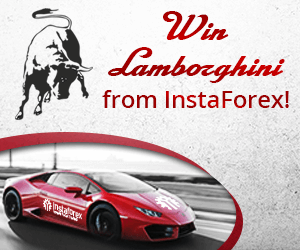 You can win a luxury premium sports car, becoming InstaForex client. The company gives away exclusive posh cars and provides the largest bonuses comparing to other brokers. 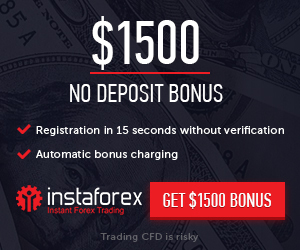 Live your life to the fullest trading with InstaForex!